We are always looking for talented people who want to join us in the mission to make the digital trasformation of the furniture inudstry.. If you live and breathe your dreams, have a strong digital and furniture background and can demonstrate these things, please submit your CV and motivation letter to [email protected]. We’ll notify you about news and opportunities suited to you. We are looking for a Junior Content Editor for an intership of 6 months. Your primary goal will be assisting the Marketing and Social Media team taking care of our editorial production. Our ideal candidate will be expected to maintain the company’s voice across all blog content and social media channels. Hi-Interiors is a design and technology startup reinventing the bedroom experience with HiCan: the world’s first open source smart bed integrating a state-of-the-art entertainment system and a professional sleep and health tracker. Converting visitors into leads and sales, and expanding our blog’s industry authority. BSc in Marketing, Journalism, Communications or related field. A passion and strong understanding of our industry and our business’ mission. We are a young team that is growing very fast. This is why we are looking for someone who wants to grow up with us. To start we offer a full-time internship with a reimbursement of expenses of € 600.00 per month. Please write us at [email protected] And in addition to your CV why not attach a sample of text or anything you think can give us an idea of you and your creativity? Position at Head Quarter in Milan @Talent Garden Calabiana. We are looking for an outstanding Web Developer to be responsible for the coding, innovative design and layout of our ultra responsive website (HTML5). Web developer responsibilities include building our corporate website, blog and product landing pages from concept all the way to completion from the bottom up, fashioning everything from the home page to site layout and function. You will also work closely with cross-functional development teams throughout the design process, helping to shape our apps and related user experience. You will help to design the next generation of our apps interfaces on both iOS and Android, creating engaging, consistent and memorable experiences. Develop web assets for new product launches, including landing pages, product configurators, etc. You’ve a track record of being detail-oriented and pixel-perfect. You’re the marketing and product manager’s secret weapon. You thrive best when helping to define the requirements, not just translating them into web development. You facilitate and draw the best web design ideas from teammates. You’ve shipped something across several platforms. You know what translates from desktop and what doesn’t, or why you’d opt for one solution for iOS and another on Android. Startup salary and superb bonus structure is available. Specific full compensation package will be designed upon valuation of track record and judgment to plan and accomplish goals. Final proposal will be discussed with qualified candidates only. We are looking for a UI/UX Design Researcher with varying levels of experience to help create memorable experiences for HiCan owners. Your mission is to inform and influence product decisions with exceptional insights about people, technology and services in our current and future world. Position at Head Quarter in Milan. 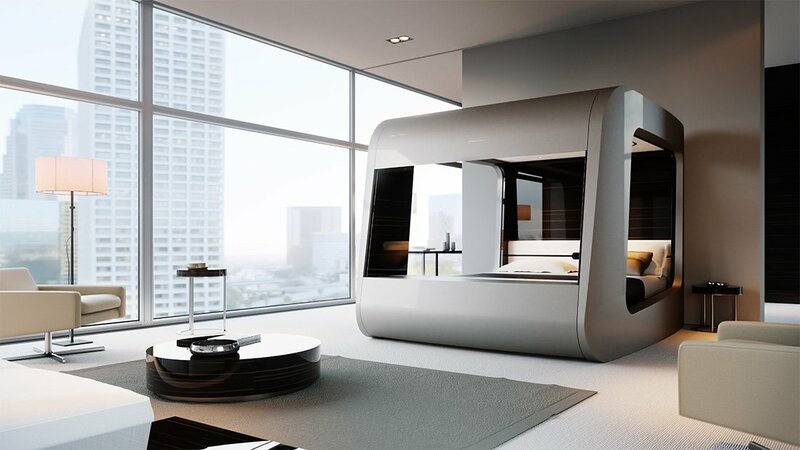 order to develop its sleeping coach functionalities. Hi-Interiors is a design and technology startup reinventing the bedroom experience with HiCan: the world’s first truly open source smart bed integrating a professional health tracker. Startup salary and superb bonus structure is available. Specific full compensation package will be designed upon valuation of track record and judgment to plan and accomplish goals. Final proposal will be discussed with qualified candidates only. The Assistant Manager role at Hi-Interiors goes above and beyond the typical secretary scope, you will become the Operations team’s right hand. You will handle impactful projects and become deeply involved in the business. We are looking for a bright and eager professional who is seeking the opportunity of a lifetime, to be part of a mission that is positively changing the future of furniture market. You will be supporting the COO as well as the Operations team. Hi-Interiors is looking for a Marketing Event Specialist with consumer experience of a lifestyle brand to manage and execute marketing programs. The Marketing Specialist will work closely with other corporate functions, including: digital marketing, sales, communications, and finance. The focus of this position is the management and execution of marketing programs and events to support our sales channel. Our ideal candidate is a self-starter with strong interpersonal and communication skills and the ability to manage projects with minimal direction. The primary goal of the Sales Account is to provide a fun educational experience for customers who come into the contact with the Hi-Interiors products. The Sales Account will accomplish this by handling all clients in the best way, answering questions, educating the public about the HiCan experience. An implicit responsibility of the Sales Account is to conduct educational conversations and business dealings in a way that creates a superior customer experience that represents the Hi-Interiors brand.